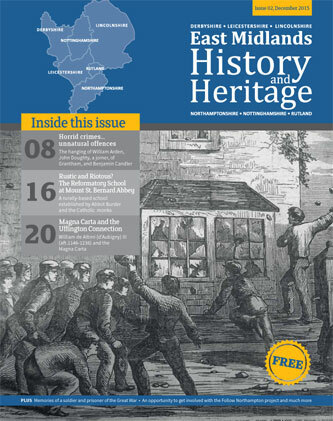 East Midlands History & Heritage magazine issue 8 out now! 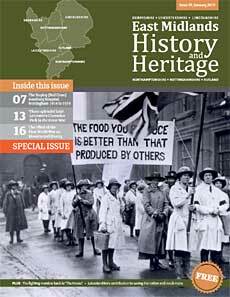 The fighting member back to ‘The House’: Oliver Locker-Lampson, the Conservative Party and the 1918 Coupon Election in Huntingdonshire. Leicestershire’s contribution to saving the nation from starvation. This entry was posted in East Midlands, News, Publication on 12/02/2019 by Andy Nicholson. 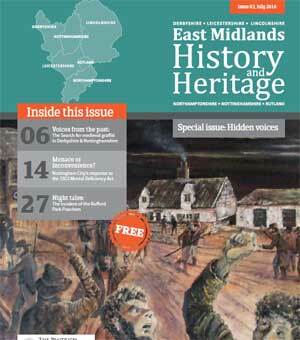 East Midlands History & Heritage magazine issue 7 out now! This entry was posted in East Midlands, News, Publication on 17/08/2018 by Andy Nicholson. 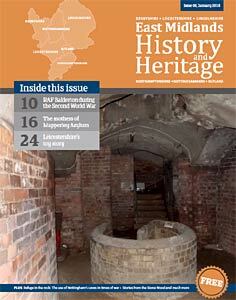 East Midlands History & Heritage magazine issue 6 out now! This entry was posted in East Midlands, News, Publication on 02/02/2018 by Andy Nicholson. 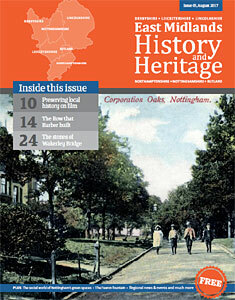 East Midlands History & Heritage magazine issue 5 out now! This entry was posted in East Midlands, Publication on 03/08/2017 by Andy Nicholson. 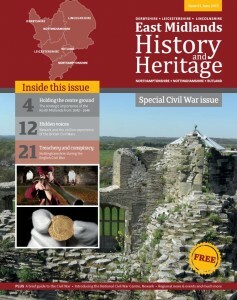 East Midlands History & Heritage magazine issue 4 out now! This entry was posted in East Midlands, Publication on 13/01/2017 by Andy Nicholson. 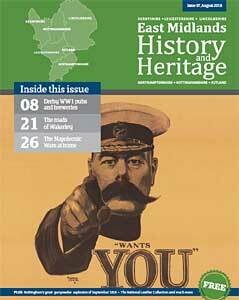 East Midlands History & Heritage Magazine, Issue 3 out now! What is happening at Delapré Abbey and why do we need you? This entry was posted in East Midlands, Publication on 23/07/2016 by Andy Nicholson. Three years ago, “The Labrador Companion” was discovered in Yorkshire. This is a previously unknown manuscript written by Captain George Cartwright (1739-1819) about his years spent in Labrador. It is both an instructional text unlike any others related to the early fur trade in eastern North America, and it is also a text about natural history observations. Cartwright was born at the manor house in Marnham, on the banks of the River Trent in Nottinghamshire, and went on to become a pioneer settler in Labrador in the far north east of Canada. He was nick-named ‘Labrador’ Cartwright having lived for nearly 16 years in these sub-arctic lands hunting and collecting animals and skins for export. This annotated edition, published by McGill-Queen’s University Press, transcribes ‘The Labrador Companion’ in full. 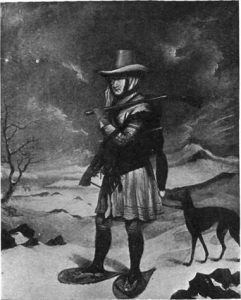 Cartwright documented the everyday work of Labrador’s particular kind of fur-trade life based on his experiences operating a series of merchant stations in southern Labrador between 1770 and 1786. This entry was posted in Nottinghamshire, Publication on 19/06/2016 by Andy Nicholson. 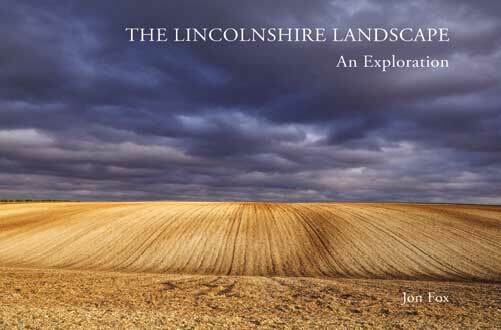 A new book about the landscape of Lincolnshire has been published recently. The book is available now in bookshops and visitor attractions across Lincolnshire and neighbouring areas, and can also be ordered through the author’s website, www.greenploverbooks.co.uk. This entry was posted in Lincolnshire, Publication on 24/03/2016 by Andy Nicholson. East Midlands History & Heritage Magazine, Issue 2 out! Sailors and Soldiers in Nottingham. This entry was posted in East Midlands, Leicestershire, Lincolnshire, Northamptonshire, Nottinghamshire, Publication on 05/01/2016 by Andy Nicholson. 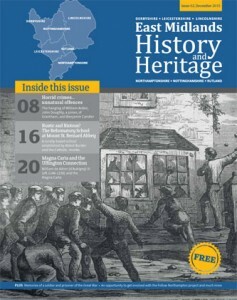 East Midlands History & Heritage Magazine, Issue 1! The English Civil War is the central theme of this issue – chosen to coincide with the opening of the new national Civil War Museum at Newark. Charles I always recognised this strategic importance of the region; it was in Nottingham that he chose to raise his standard on 22 August 1642. Bloody sieges followed, particularly at Newark, but also at Bolingbroke and Ashby-de-la-Zouch. 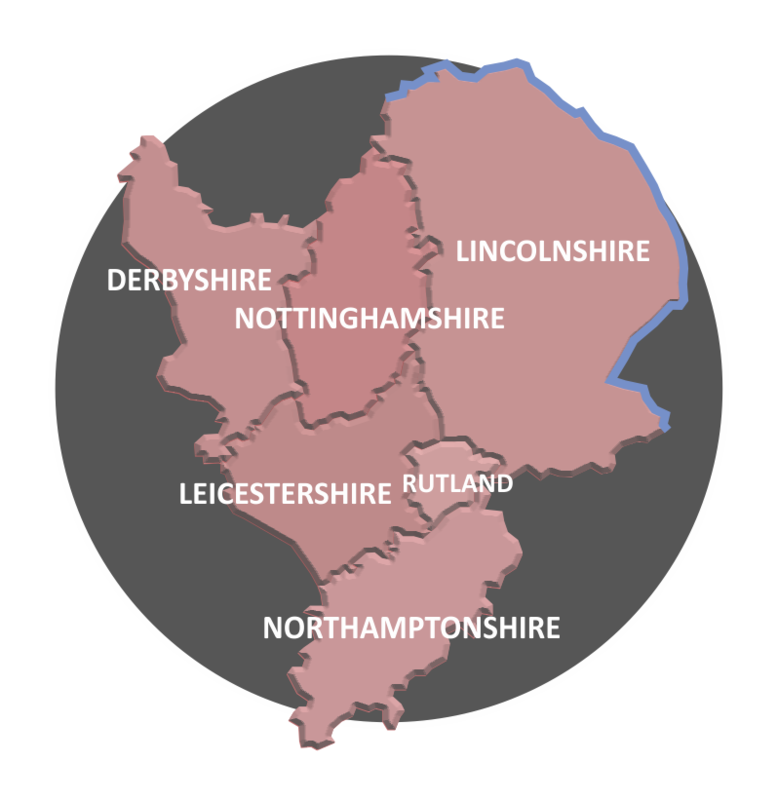 Nottingham, Lincoln, Gainsborough became ‘frontier towns’, decisive engagements were fought at Naseby, Winceby and Willoughby on the Wolds. 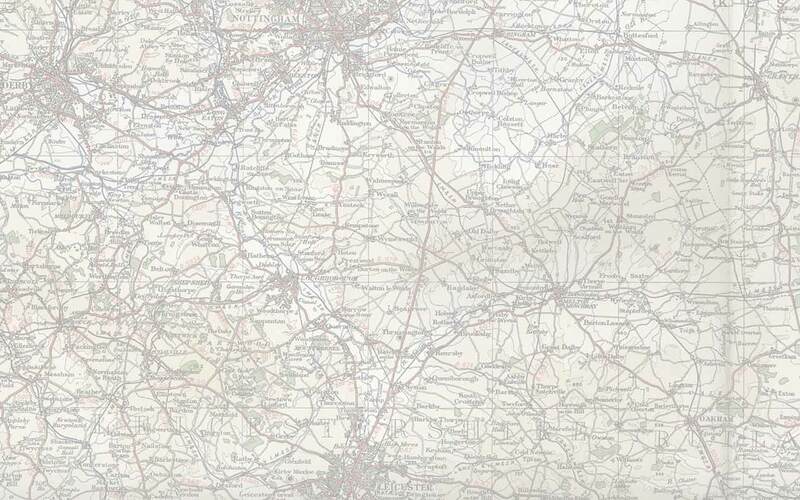 The East Midlands became the gateway through which rival armies passed; to deny access became a chief objective for both sides. War brought disease, treachery and heroism. Its social costs were high; its legacy in terms of destruction, disruption and disability was far reaching. Read the magazine for more…. This entry was posted in East Midlands, Leicestershire, Northamptonshire, Nottinghamshire, Publication on 04/06/2015 by Andy Nicholson. 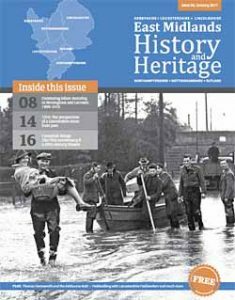 © 2014 East Midlands History & Heritage The site is designed for anyone who wants to know more about the history of the East Midlands and will also provide resources for students, learners and educators.